What do you get the sports fan who has everything? Is there anyway of giving them a gift that would impress them? Now there is with Upper Deck Authenticated’s Suite One-of-One program and super-premium collectibles. Only Upper Deck Authenticated can provide sports fans with exclusive access to the world’s greatest memorabilia™. From game-used collectibles to original works of art, if you are looking for something truly special for the sports collector in your life, look no further. And many of these gift ideas are great for a group to give to someone where everyone can chip in to get that sports fanatic the ultimate sports collectible. These items are absolute show stoppers and would look great displayed in a home or office. Check out some of the key items available! This is the ultimate sports collectible featuring the top trinity of athletes from our generation with Muhammad Ali, Michael Jordan and Tiger Woods all signing one very unique print. Beautifully displayed in an attractive frame, this piece stops people in their tracks as we saw when we had a copy on display in our offices. 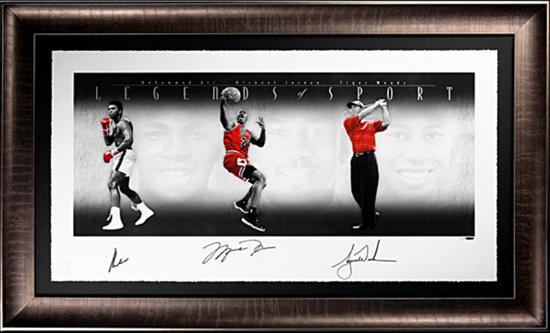 Give the gift of greatness with the “Legends of Sport” triple signed piece. 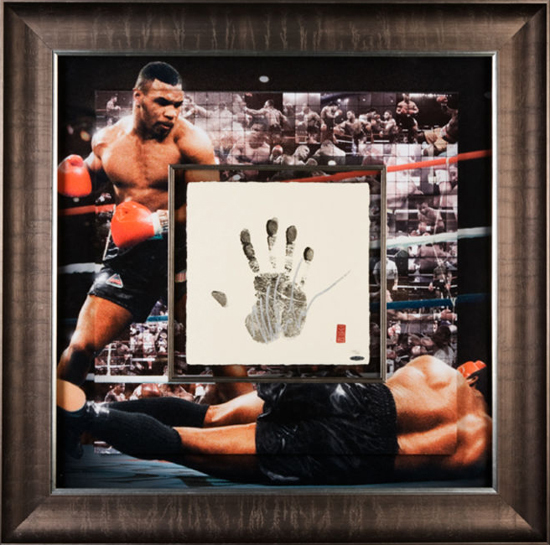 He is one of the greatest fighters of our generation and now you can give a collectible that not just has his signature, but also a genuine hand print from the champ with Upper Deck Authenticated’s “Tegata” piece. The “Tegata” is a Japanese inspired memorabilia piece reserved for only the greatest athletes and Mike Tyson definitely fits the bill here. Small images surround a larger image highlighting memorable moments from the champ’s career. Much like Mike, this piece is an absolute knockout! Upper Deck commissioned artists to create memorable artwork for the company’s Goodwin Champions trading card set. 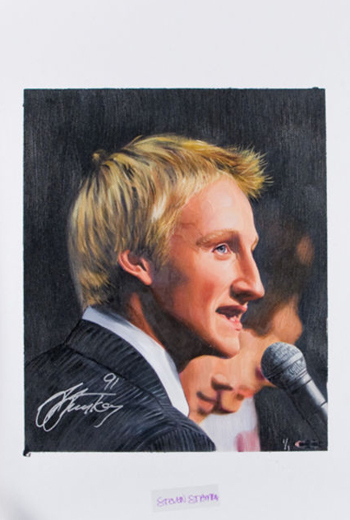 Upper Deck Authenticated had one of the original works of art featuring Steven Stamkos signed by the hockey superstar. This one of a kind collectible is an awesome gift idea for the hockey fan in your life, bring it home today! 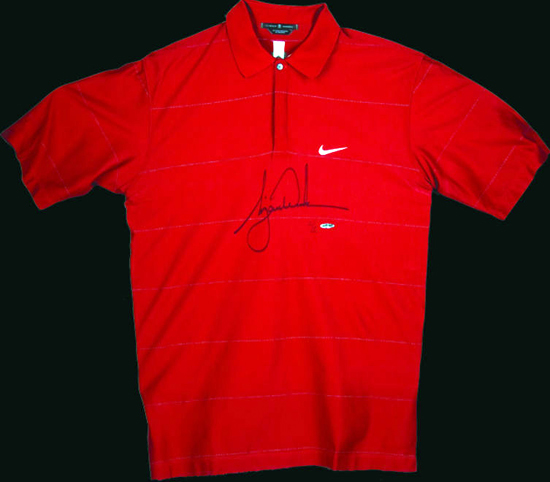 If it is Sunday and Tiger Woods is anywhere near contention, you know he will be in the hunt and you know he will do so in his Sunday Red Polo. Perhaps the most well-known uniform of any major athlete, the Sunday Red Polo grabs fans attention as a signal that Tiger is set to do something amazing. This is a hole-in-one type gift for the passionate golf fan in your life. Landon Donovan has now won the MLS Cup in back-to-back seasons and has established himself as one of the greatest American soccer players of all-time. This is the type of collectible only one person can own. It is his game-used uniform from the 5/7/11 game against the New York Red Bulls where he scored the game-tying goal in the 41st minute of play. To immortalize the moment, Landon inscribed key game details along with his signature on the piece. The jersey, shorts and shoes are each individually autographed. Give an American legend to the sports fan in your life. Michael Jordan is the man and only Upper Deck Authenticated can bring you his signed collectibles as he has been an exclusive spokesman with the company for over twenty years now. 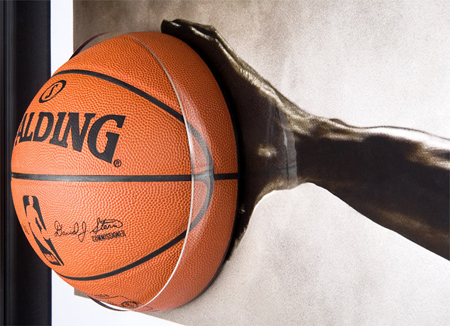 One of the most iconic images of Jordan is the “Wings” photo and now we have taken that classic photograph to new heights by lending MJ’s signature to the piece and making it a Breaking Through collectible where a portion of an actual basketball breaks through the glass in this dazzling display. To receive a gift like this would be the ultimate expression of respect and admiration to a recipient who will be speechless. This is an easy one, the Jordan, Ali, Woods piece!!!! Jordan wings breaking through It’s an easy choice #2 would be Tyson’s KO hand print. These are awesome the wings peice is better than any collectable I’ll ever own.